Marta Čudová is a Ph.D. student in the Faculty of Information Technology at Brno University of Technology (FIT BUT) in the Czech Republic. 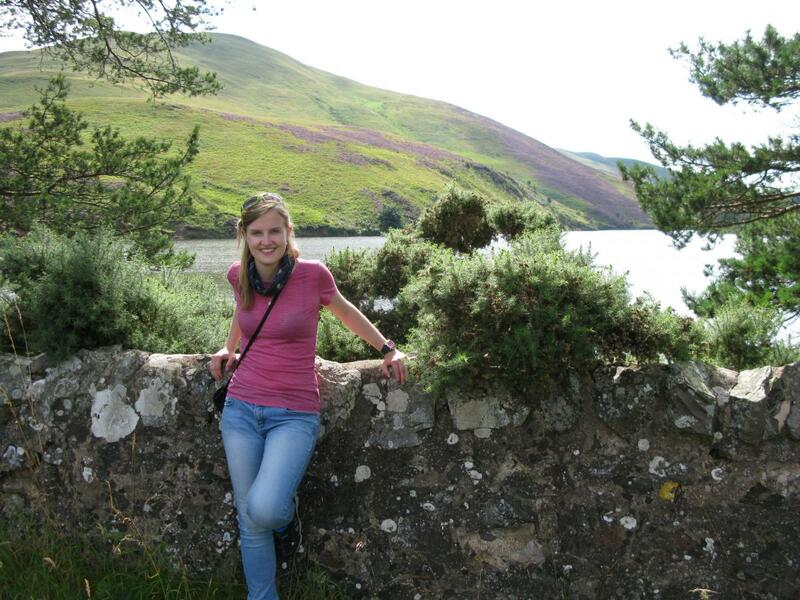 Working in the Supercomputing Technologies Research Group, her research focuses on cluster management systems and multiphysics model coupling. When not in front of a computer, she loves travelling, music, dancing, and taking part in various sports, including badminton, skiing, and bouldering. Marta, tell us a bit about yourself and how your career path has led you to where you are now. I am currently a second year Ph.D. student in the Supercomputing Technologies Research Group at the Faculty of Information Technology at Brno University of Technology (FIT BUT), where I focus on cluster management systems. I changed my career plans many times along the way before ending up in informatics: from crazy dreams I had as a child, through physics and genetics, to High Performance Computing (HPC), where I finally anchored. I now know that it was a good decision, as I have found HPC to be an open door for cooperation with other scientific fields. 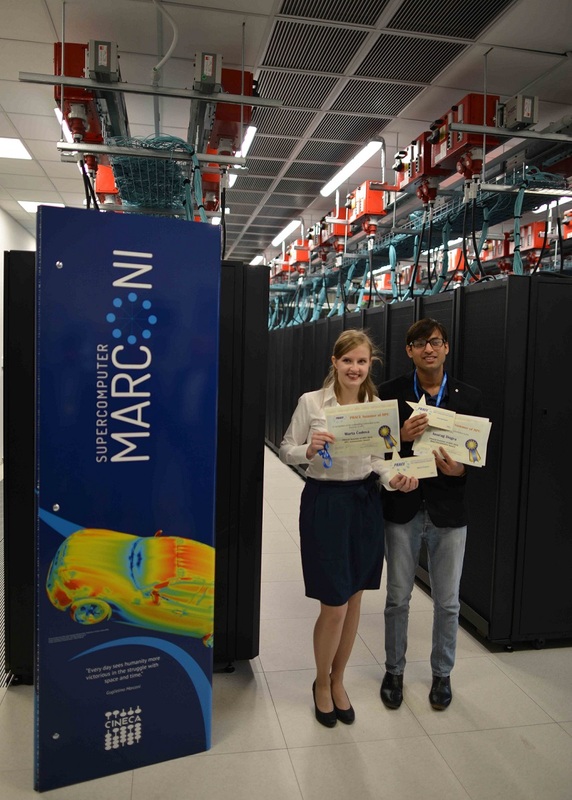 I believe HPC will bring me many opportunities to get involved in non-stereotypical work. What was your first experience of HPC? My first opportunity to learn a bit about HPC was during my Master’s studies, which gave me a bright signal to go this way. I was encouraged to attend a couple of HPC-related workshops, and subsequently took part in the PRACE Summer of HPC programme (SoHPC). As an SoHPC participant, I spent two months at EPCC in Edinburgh (UK), working on two different projects: a study of programming languages in the field of fluid dynamics, and a project working on reconstructing images using supercomputers. The latter, in particular, has practical applications in daily life, e.g. if a crime has been captured by video surveillance camera but the images are not sharp enough, maybe due to low levels of light, the process of cleaning the images can be carried out much more quickly using a supercomputer than using a regular PC. The SoHPC experience in turn led me to enrol for my Ph.D. studies. So what does your work involve? My work focuses on cluster management systems. My goal is to make the use of HPC clusters easily manageable and partially automated, even in cases where multiple physical models must be employed to fully cover the phenomena which are being investigated. At the time being, I’m working on a framework which provides automated planning, executing and monitoring of co-operating computations. This tool is inspired by the HPC-as-a-service paradigm. In other words, it unifies the workflow with various HPC facilities and enables users to interact with them using standard web services. This concept can bring HPC and new computing technologies closer to everyday practice in science and in industry. Moreover, this framework represents the base for coupling of various physical models and enables my research to move on. So it won’t just be about coding and testing. I will have to dive deeply into maths and physics and come up with efficient solutions for the automated simulations planning. I can say with certainty that it will never, ever be boring! 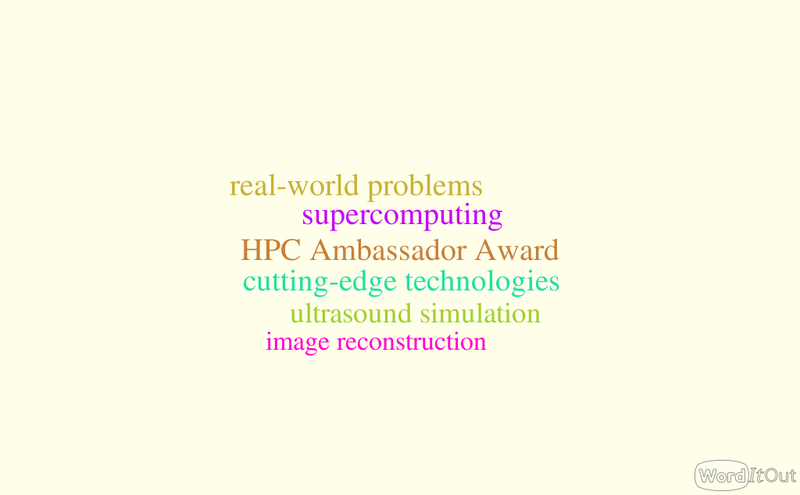 HPC offers a lot of challenges, from traffic simulation to brain surgery planning, using cutting-edge technologies. It’s also closely connected to real-world problems. I really enjoy collaborating with researchers from other scientific fields. It’s still about learning and discovering new things. Unlike other informatics branches, HPC represents a bridge connecting two islands – an island of IT specialists, and the island of scientists. These two islands themselves are very strong, however, together they can be unbeatable. Every day in this sphere of work is challenging! For developers, it isn’t just about coding. We need to answer questions like, Does my code model the reality accurately enough? Is this piece of code fast enough? Is it well tested? Personally, I feel like I am a small ant in a huge anthill, trying to excel. But the environment is highly competitive and full of smart ants. It’s always easy being such a little ant, but each step in this anthill enriches me. Our team works on large-scale ultrasound simulations, to understand how ultrasound wave interacts with human tissue. This has enormous potential in personal medicine, such as non-invasive surgery, neurostimulation, targeted drug delivery, and computed tomography. All of these applications require several co-operating models to be executed on large data. This demands high computational performance. To serve hundreds of patients per day, HPC resources will have to be brought much closer to hospitals, and their use must be simple enough to be able to be employed in everyday clinical praxis. First, I will finish my Ph.D. studies. Then I would love to stay in academic research as a post-doc. Of course, I would also like to spend some more time abroad, to get more experience and meet many new interesting people. Right now, I have successfully finished the first year of my Ph.D., but this means I still have a lot of work ahead of me. This autumn, I’m going to go to the SuperComputing conference, SC17, in Denver, Colorado (USA), where I plan to attend a couple of workshops.